Sandblasting can be used to assist on a variety of concrete projects. Not only is it a highly effective method of cleaning and restoring walls and large concrete areas, but it can also be used to create an exposed aggregate finish on driveways, footpaths, patios, pavers and more. 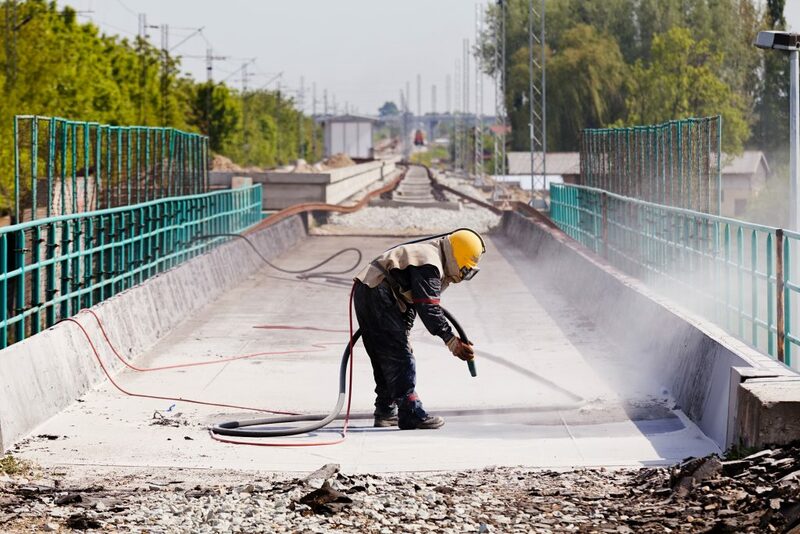 The practice, also known as abrasive blasting, is applied to remove the top layer of concrete to coarsen the profile, bringing a textured, non-slip surface to the fore. When you need a sandblasting specialist in Melbourne or Sydney, one who uses sandblasting for creating exposed aggregate concrete finishes as well as for cleaning or restoration purposes, contact VacuBlast today. VacuBlast offers a complete onsite solution for concrete sandblasting, assisting project managers, architects and home owners throughout the Melbourne and Sydney areas. Vacu-Blast applies American manufactured dustless blasting equipment to all abrasive blasting jobs across Melbourne and Sydney. This wet approach is specifically tailored to onsite projects in sensitive areas where airborne contaminants need to be contained in order to avoid site disruption or plant shut down. The introduction of water into the sandblasting process significantly reduces dust by up to 95%, whilst producing 50% less mess than traditional dry sandblasting methods. By adding water, we’re also drastically increasing the mass and energy output, resulting in a solution capable of removing stubborn epoxy coating and paint.